Hiking is one of those outdoor activities that work really well in helping one de-stress and relax. Apart from keeping you physically active, it also draws you closer to nature where you’ll feel calmer and more relaxed- perfect for when you’re dealing with a lot of stress at home or at work. Of course, for you to have the best experience, you need to make sure that you’re wearing all the right gears. If you don’t own the right type of shoes yet, here are the best hiking shoes for women you can totally check out. 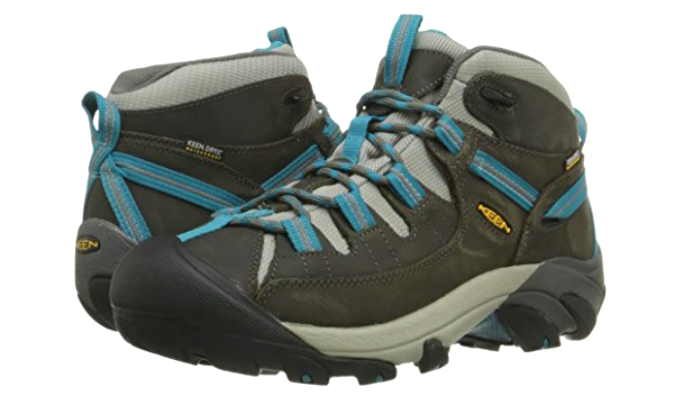 KEEN Women’s Targhee Hiking Boots have the right height for breathability and protection. Their membrane is waterproof. Their toe cap is also durable to withstand harsh trails. The removable footbed is composed of EVA foam that is thicker than most of its kind. These hiking shoes can retain stability, especially on steeper paths. 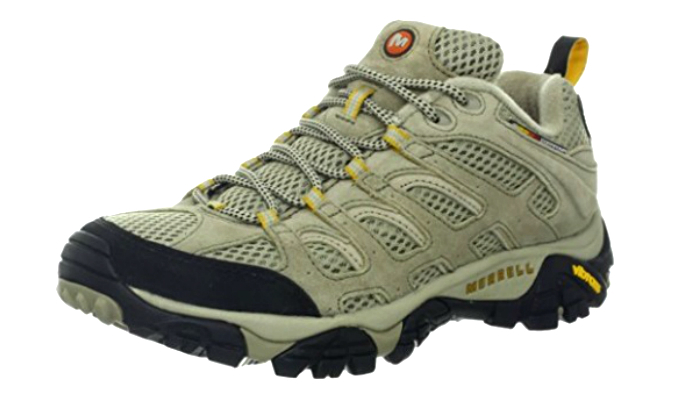 Merrell Women’s Ventilator Hiking Shoes are low-cut for a more comfortable hike. Their collar and tongue are surrounded by soft padding. Their lugs are deep while the sole is made of special material for a stronger grip. More about the deep lugs, they promote the versatility of movement no matter how the weather changes. Meanwhile, the antibacterial footbed blocks moisture and sweat to keep your feet fresh during a long hike. 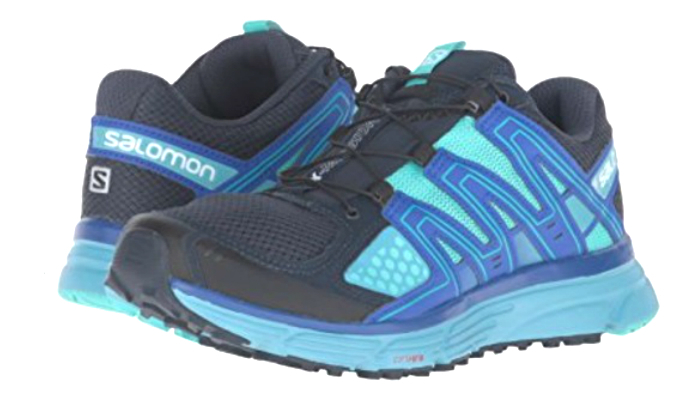 Salomon Women’s Trail Runners contain beautiful colors, definitely, fit for most women’s taste. Their shoelaces are easy to assemble and remove because of special pockets from the unique Quicklace system. Rough trails with sharp elements are nothing for your feet due to the shoes’ thick yet soft EVA midsole. The design or form ensures that the foot is wrapped perfectly to avoid accidents. 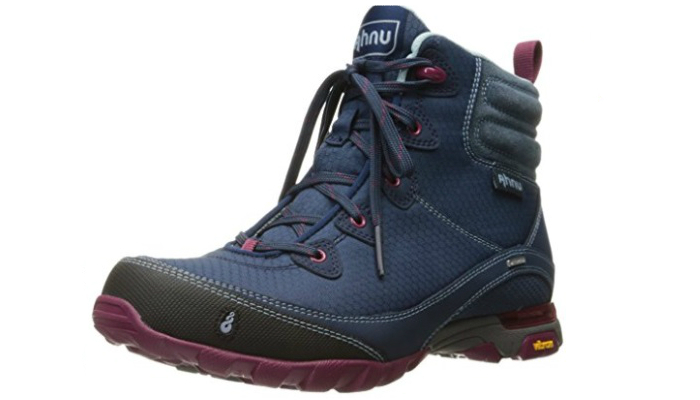 Ahnu Women’s Sugarpine Hiking Boots ensure that their shoelaces remain secure for smoother hiking. They focus on the comfort of your ankles as a way to promote stable feet. Their lugs are already self-cleaning. Columbia Women’s Ridge Hiking Boots are resistant to stains for easy cleaning. Since they are also waterproof, they can be used even if there is light rain, a stream you have to cross, or morning dew when you stay outdoors overnight. Nevados Women’s Hiking Boots have molded midsoles that are composed of ethylene vinyl acetate to follow the feet’s form and perfectly support the arches and heels. Their collar and tongue are padded to keep your feet safe from sharp rocks. People say good shoes take you to good places. If you are planning to go on a hiking trip, make sure to get the right kind of shoes to stay comfortable and always ready to go the extra mile. For ladies who enjoy hiking or traveling on foot, usually across the country or in the mountains, there are a few points to consider in order for them to find the best hiking shoes for women. For starters, what type of hike or trail are you willing to undertake? You can choose to have multiple pairs of hiking shoes for each type of trail you intend to travel, but you may also resort to one versatile pair. Determine if you are going for light hiking or more serious ones like trail running, climbing and mountaineering. Think about the type of environment you will most likely end up most of the time – flat, terrain, muddy, rocky or sandy. 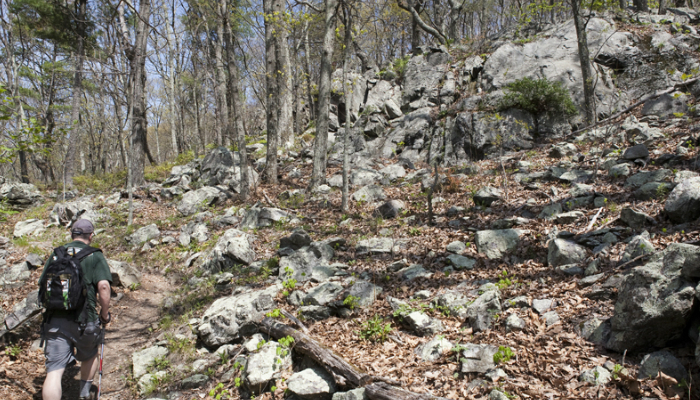 Also, decide the difficulty of the hikes you wish to accomplish: easy, moderate, or hard. Finally, you can now pick the type of hiking footwear perfect for your desired activity. Hiking shoes, hiking boots, trail running shoes, approach shoes and mountaineering boots are the most common types of hiking footwear. Hiking shoes usually have low-cut designs. They are best for day hikes, trail running, long distance light hiking and backpacking due to their durability and flexibility. These shoes have semi-aggressive tread patterns with durable construction and Vibram rubber soles. Ankle support is less with low-cut designs but they have a sturdy sole construction that can give you a good amount of support. 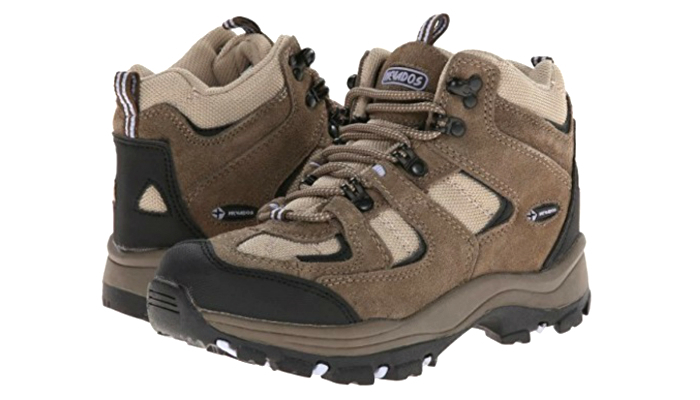 Hiking boots, on the other hand, are categorized by their height that is usually above the ankle cuts. They are the adventurous and rugged equivalent of fashionable ankle boots. They have harder rubber soles and a more durable leather construction. Hiking boots are considered heavier than other types of hiking shoes, but there are some that only weigh two or three pounds. They are perfect for light- or heavy-loaded backpackers due to their stability and ankle support. Trail running shoes are best for uneven paths. This type of hiking shoes is made up of soft construction sole and thick tread patterns with breathable nylon uppers for a more flexible run. Some hikers choose trail running shoes instead of hiking shoes to walk faster and maximize the distance they travel during hikes. Approach shoes are perfect for rock climbing. They have a similar design with trail running and hiking shoes. They only differ because of the sticky rubber sole and toe and to handle terrains or rocky trails. Mountaineering boots are for high alpine travels, winter hiking, climbing and general mountaineering. They have the same above-the-ankle design as hiking boots but are much heavier and thicker. That’s why they are less flexible than hiking boots. 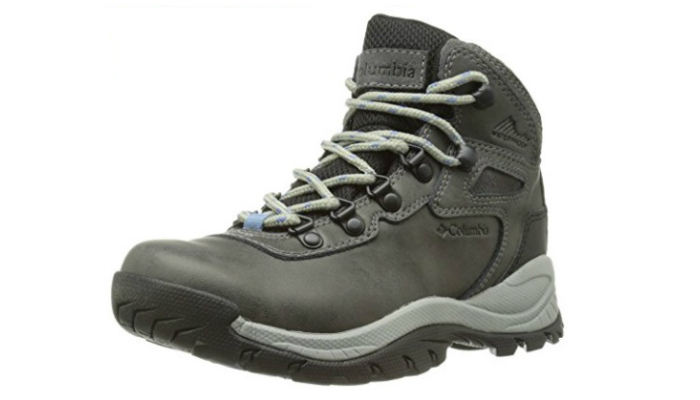 Mountaineering boots have full shanks and very still soles with multiple layers of lining. Women have different foot sizes and shapes. Knowing your usual size is the obvious option, but there are some shoe manufacturers that follow a different set of sizing rules. So, research the brand first before purchase. The socks you will be using in your hike can affect the fit of your hiking shoes. Consider the thickness of the socks if you are going for a hike during the winter season. That may affect the breathability of your feet since most hiking shoes have thick padding already. The shoes’ padding may be enough to keep you warm but just to be sure, you can purchase hiking shoes that are slightly bigger than your foot size to perfectly go with thick socks. Interestingly, a lot of people suggest trying out footwear in the afternoon than in the morning due to claims that feet expand after a long day. Though heavy shoes can be useful in some circumstances, we still recommend getting lighter ones that best support your feet. Although, mountaineering and hiking boots should be heavier due to their main purpose. Still, finding lighter hiking shoes will enable your feet to move faster without compromising comfort. 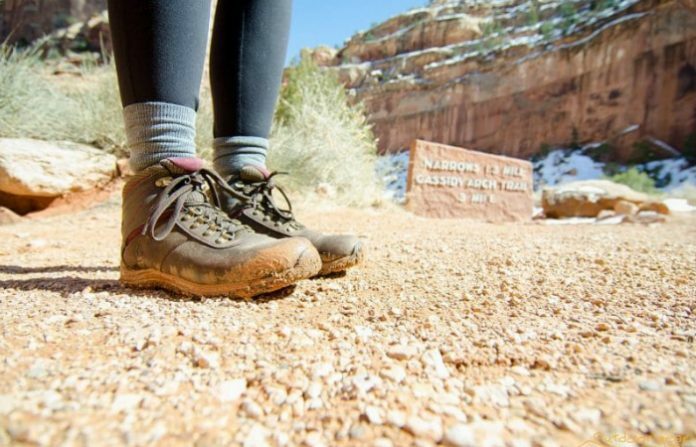 Take your time in finding the best hiking shoes for women. There might be plenty of shoes out there, but there will always be a pair best suited for your hiking goals. Your feet can take you to faraway places, so take good care of them. To complete your hiking gear especially when you go camping, check out our list of the best camping chairs, best backpacking tents and backpacking pillows. Also, you might want to learn ways on how to effectively pack a hiking backpack.